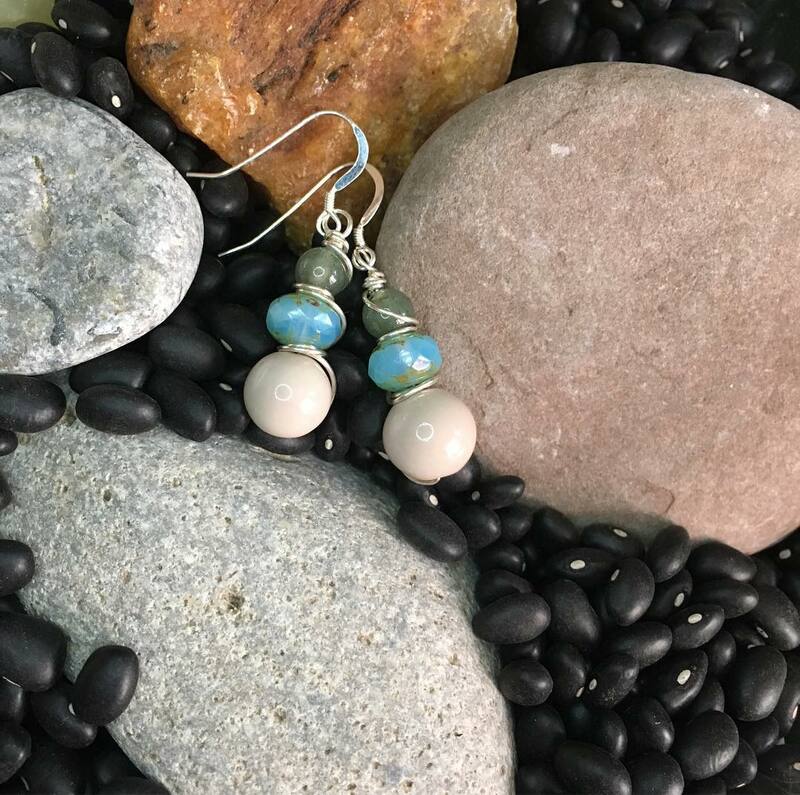 I love these sweet little stack bead drop earrings. 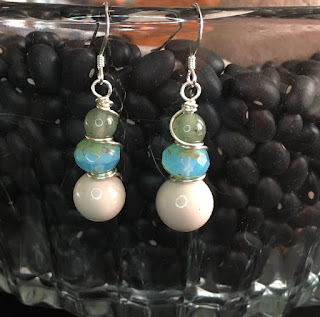 When I am done with a design and have a few beads left over, it is always fun to play around with the extra beads to see how they may form into a pair of earrings. 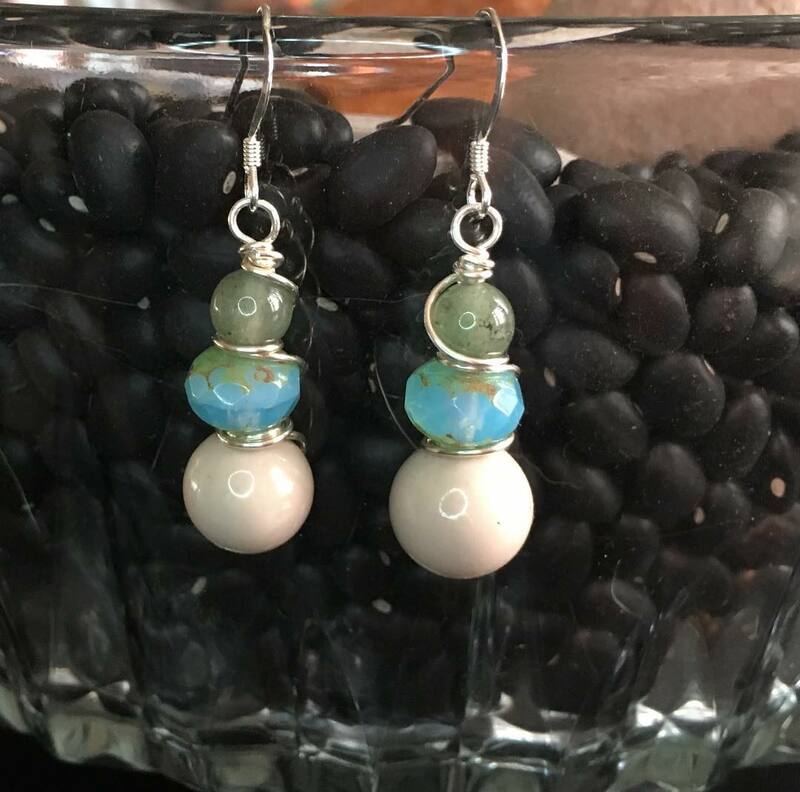 For these earrings I used green quartz, faceted glass and ceramic beads, and wrapped in sterling. They are very light weight and playfully swing from your ear lobe. Green quartz, think heart chakra, so love and happiness, along with the color green for prosperity, beauty and good luck.